Based on the "Les Pyjamasques" book series by French author Romuald Racioppo, PJ Masks is the new Disney Junior show that follows young friends Connor, Amaya and Greg as night falls when they become superheroes. They put on their pyjamas and activate their animal amulets and turn into their alter egos, Catboy, Owlette and Gekko, before going on crazy action filled adventures. Every night they solve mysteries and learn valuable lessons along the way. PJ Masks is the latest show to hit Rocky's favourite list! Not only does it have the superhero aspect but it has a cat, an owl and a gekko, three of his list of favourite animals; winner. 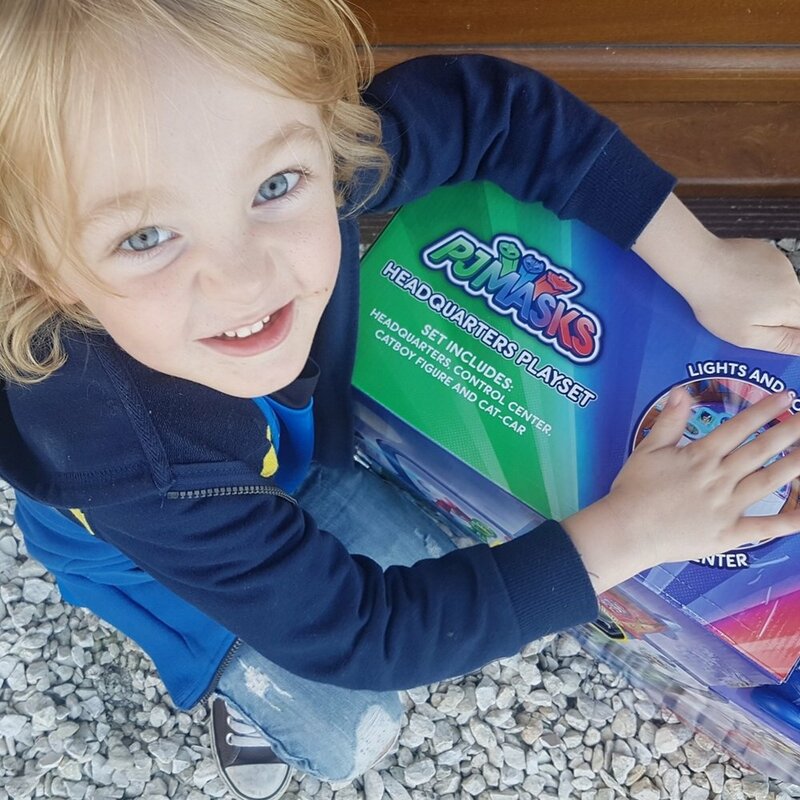 Rocky turned 5 in July (2017), guess what he wanted as a theme for his party?... you guessed it, PJ Masks! However, at that point there were only a few toys in the shops (that he already owned) and I had to import things via amazon to bring his dream to life. 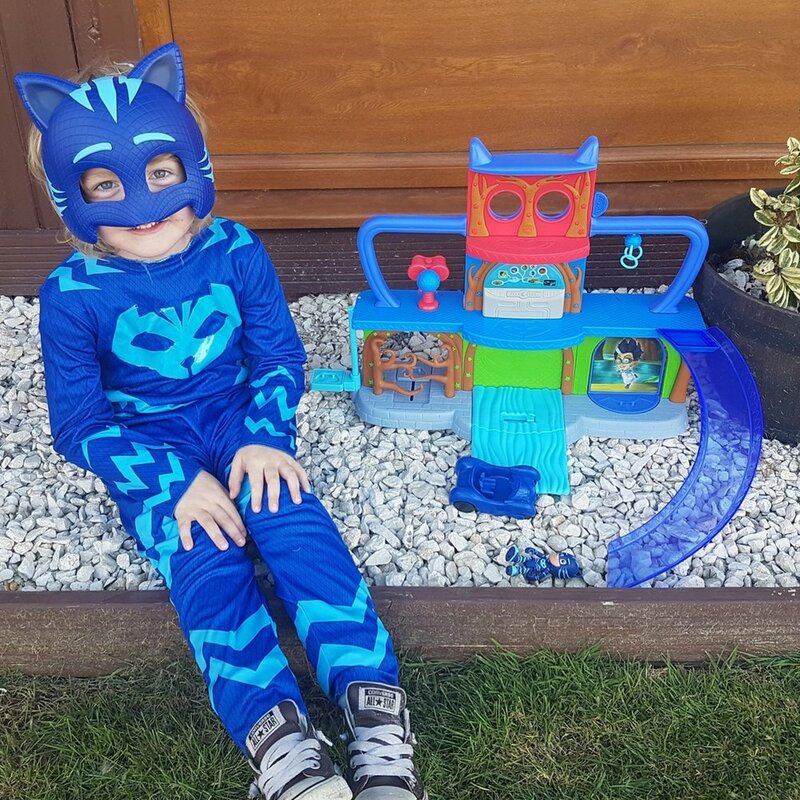 But FINALLY we have the new PJ Masks range in the shops here in the UK and this little beauty couldn't have had a bigger cheer when it arrived... from both of us! The HQ itself comes in 3 brightly coloured pieces, the main HQ, a slide and a road for the entrance. They slot together easily, although they do fall out if you move the set so you have to keep putting them back together; which became annoying for Rocky. The only good thing about the pieces coming apart easily is that it can be put away relatively flat, so a bonus for us parents. In the centre of the HQ is a pop out, battery operated, light up Control Centre which flashes, sings the theme tune and says phrases from the show. This is great fun for Rocky as he can make his Catboy speak in Catboy's actual voice from the show. This creates great imagination play, which always goes down well in our house. There is so much on the HQ, trapping tree snarls, a lift, a fur-ball shooter and even red owl vision goggles so you can be just like Owlette, so many things to keep your very own superhero entertained. Catboy and his Cat Car Vehicle are made of sturdy blue plastic and have been thrown around like crazy but have still yet to scratch or break, which is a good sign for me. 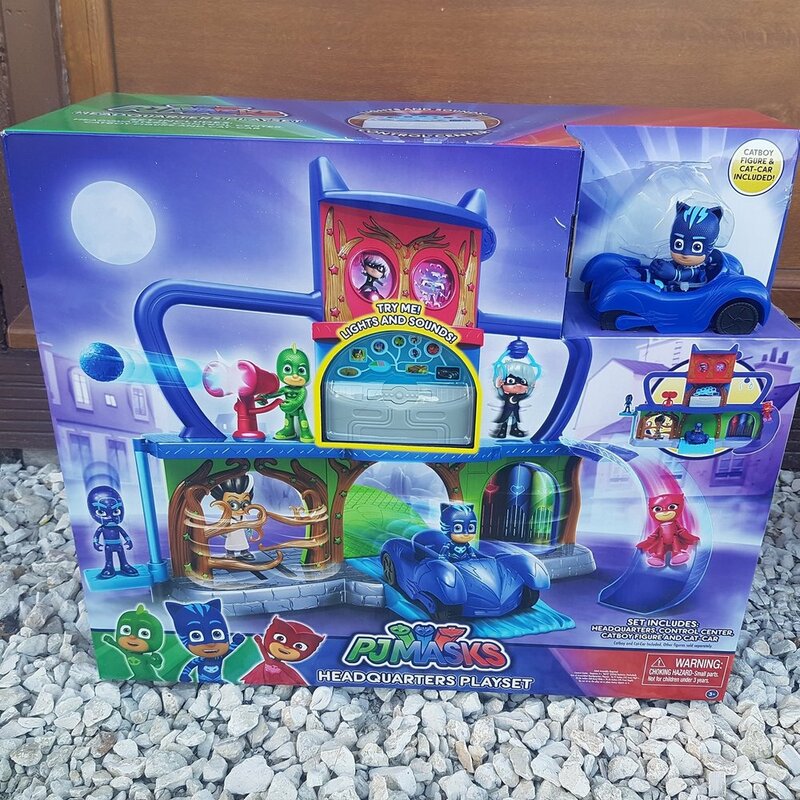 You can now buy Owlette, Gekko and all the villains with their vehicles separately from all good toy shops, along with other games, masks and outfits from Just Play, so you can create the full PJ Masks imagination play experience for your little superhero. 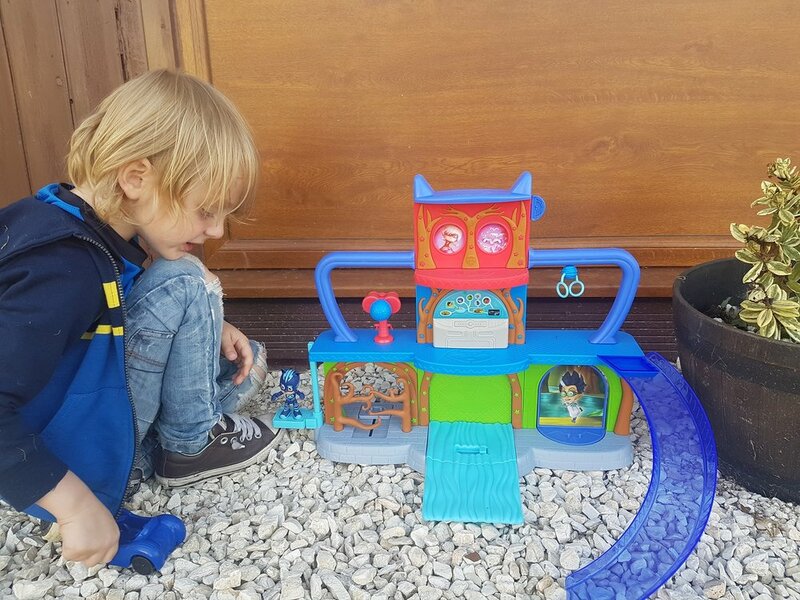 All in all, the Headquarters set has been a hit with this PJ Masks fan and has been played with continuously by him and he is now the envy of all his friends in the playground. So if you have a PJ Masks fan and want to be the one to buy 'the best present ever' this birthday or Christmas, this is a good choice.